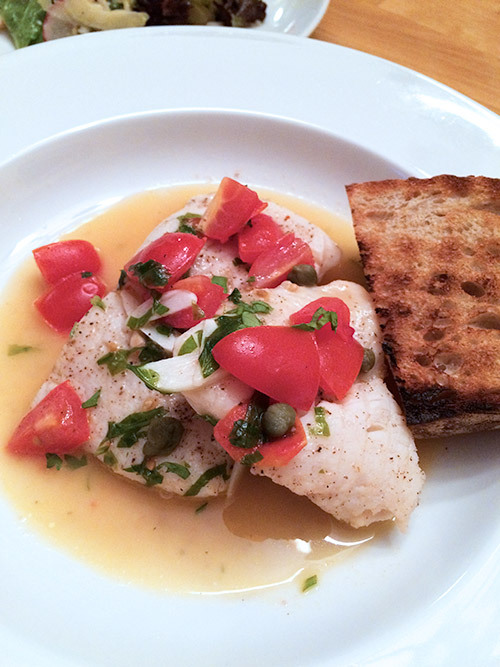 Acqua pazza is one of my staple dishes. 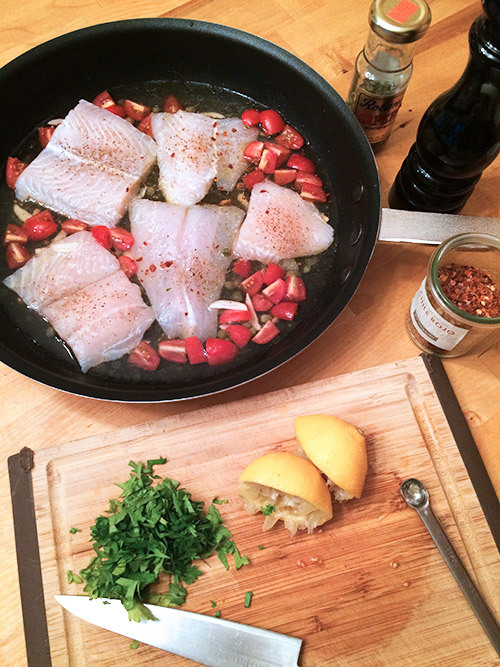 It only requires fresh fillets of white fish and then rest of the ingredients are pantry staples. And it takes less than 20 minutes from prep to table. Cheap, fast, tasty and healthy. I can't think of another dish that is better suited for a regular menu rotation. Even several fish haters I know like this dish. The key is not to overcook the fish. You have to keep eye on the fish the whole time. You can regularly insert a paring knife into fish and if it goes through easily, it's done. Salt and Pepper on both side of fish fillet. In a large fry pan, add everything except the parsley. Cook on medium high heat until the liquid starts to boil. As soon as it starts boiling, turn down the heat and cook another 3 - 4 miniutes. Flip fish fillets and cook another 2 - 3 minutes until the fish are cooked. Do not overcook! Plate the fish and add the parsley in the sauce leftover in the pan. Cook on high until the sauce boils again and the pour over the fish.